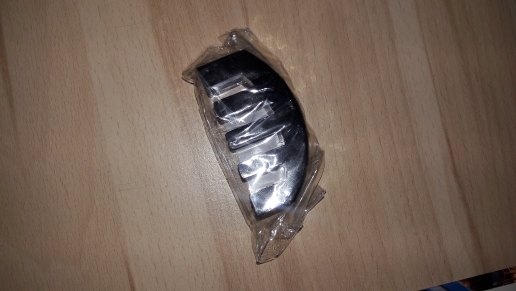 This Heavy Rubber Practice Mute for 1/2-3/4 Violin provides a high level of muting while preserving more tone quality than the metal variety. Very pleased with the product I received - accurate description and speedy delivery. I would purchase from this store again... the guitar looks great and everything is in good working order. Wow! No problems getting through customs and parcel was really well protected for the journey. I am so pleased with my 'Rick' - exactly as described and looking great!! Thank you! Thanks a lot guys....guitar came today (Aug. 9, 2018); arrived on Long Island, NY. You did an excellent job; construction is top notch. 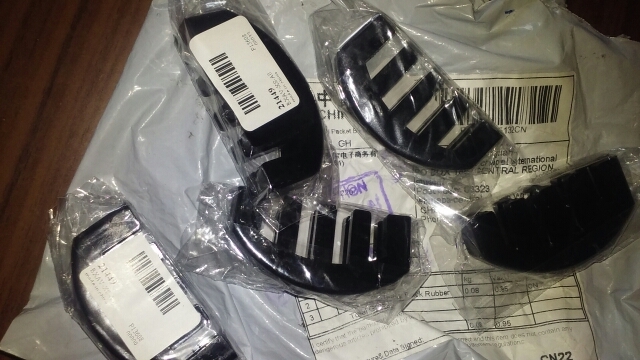 The headstock angle is 5 degrees...and the pick ups are evenly spaced; just as I requested. Nice finish work on the wood...especially the rosewood fretboard. 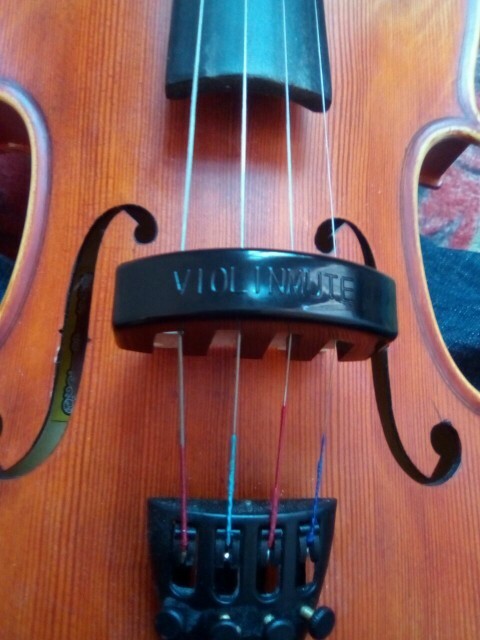 Initial tuning sounds great; I will be adding flatwounds...but nice job all around. super fast delivery! !best of store!! Excellent !!! Great guitar !!! Many thanks !!! The goods arrived in 8 days. Packaging was also polite and the guitar was good, too. I am satisfied with this fun guitar. Nice item. Thank you for fast delivery. Very fast delivery. It's Little hard to mount it down on the bridge but eventually it fits. It's reduce the voice but not as I expected. In any case it's worth. Guitar came well packed. No customs issues. Nice paint job. Good action. Overall nice guitar. Bigsby works great! 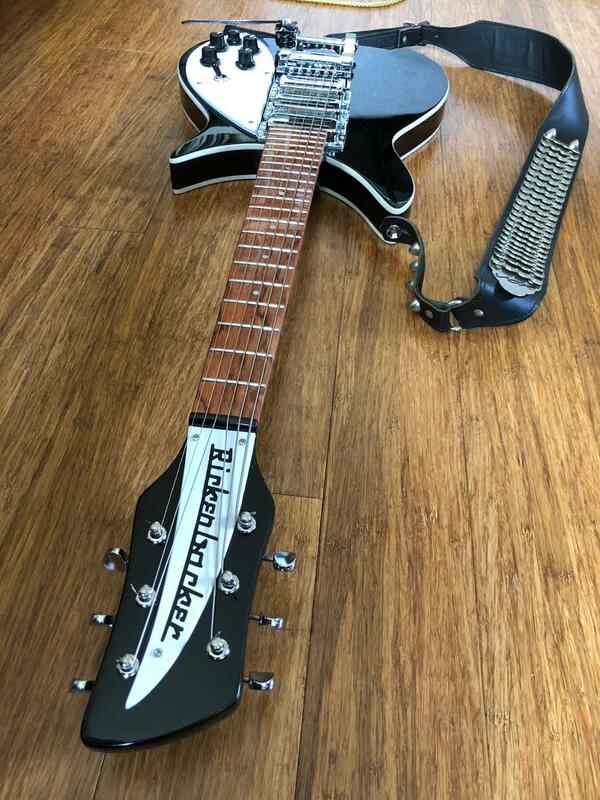 Not a "Rickenbacker", but nice for the money. 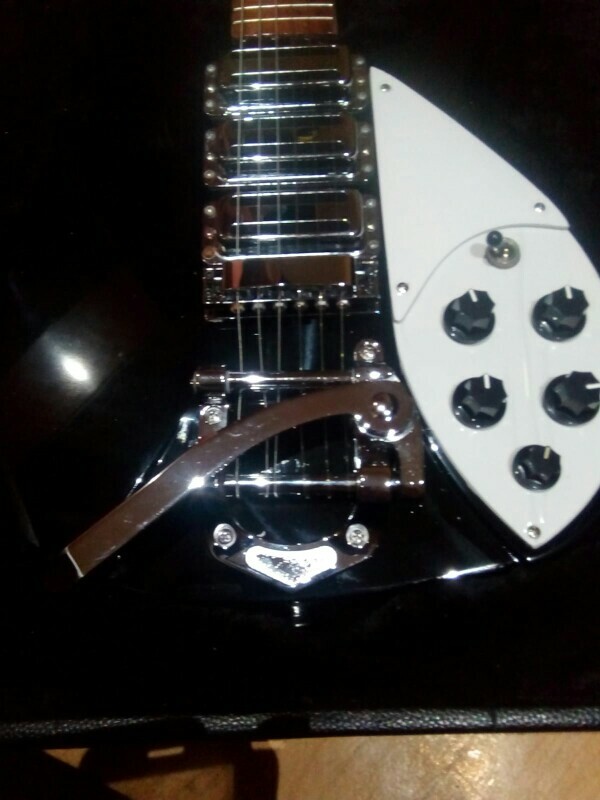 For those who want that John Lennon look, and don't wanna put ot $3-$4,000.00 on a real 325, this may fill the void for u. With some mods, it can b a really nice guitar. Overall satisfied. Скрипка в действительности замолчала. Приходится периодически играть без сурдинки. 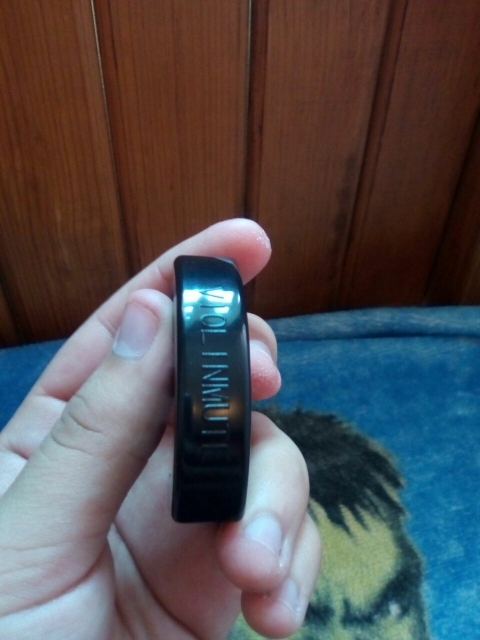 Wow, I was totally surprised, when the mailman knocked on my door very early this morning and handed me the package with my guitar, as I was not expecting this as the tracking said it was still in China. What a great way to start a holiday weekend. I opened the package and the guitar looks awesome. The guitar was packaged very well for shipment. The strings on the guitar were lights, so I replaced them with a new set of flat-wound strings. I have yet had a chance to play the guitar except for a few minutes, I was surprised how small this guitar is (I had a ric325 many years ago, when I was young, way back in the early 1980's). The email communications with Xeucheng were very profession, he is a very nice man and he replied very fast. He was able to help me with this order and I appreciate his sincere efforts. He was so outstanding, that I placed an order for a 12 string, which they are currently making now. 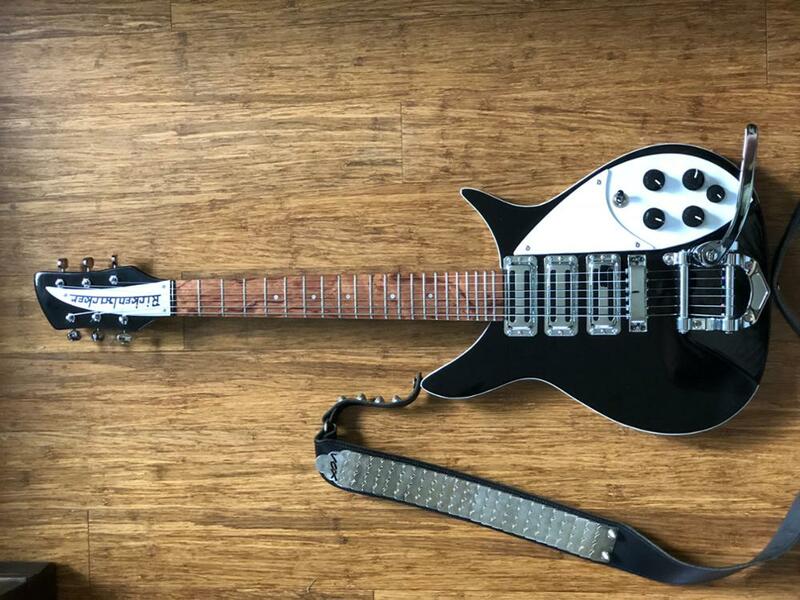 As a big John Lennon/Beatles fan, this guitar was a necessity. 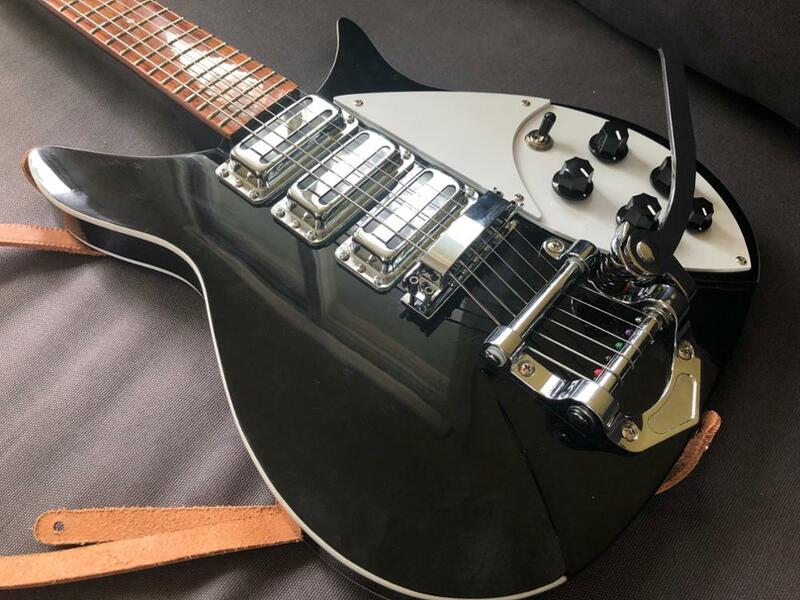 I loved that it looks nearly identical to an actual 325 but what I didn't expect was the sound of this thing - instantly recognisable as a Rickenbacker. Although it's a tenth of the price, it sounds remarkably close to the real deal. Five knobs - two volume, two tone, and one "blend" knob that actually acts as a master volume. 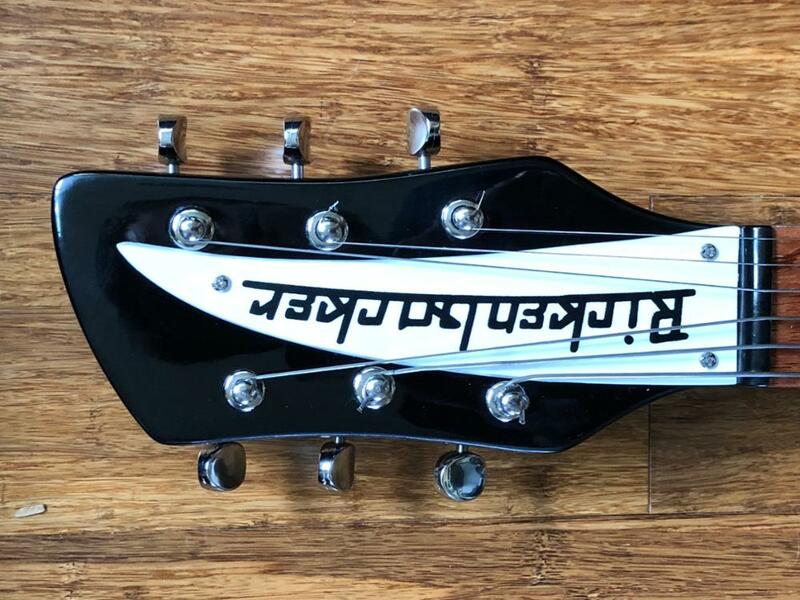 The bigsby doesn't work perfectly but as I bought this guitar for rhythm work rather than lead, that doesn't bother me much. One thing I would recommend is buying flatwound guitar strings, 12 gauge, as the set that comes with the guitar have serious tuning issues. One or two faults in that one of the screws in a tuning peg had snapped off (hasn't affected the functionality of the tuner at all) and that it still needs a proper set up, but I can safely say it's worth the money, worth the customs charge and that I'd be happy to buy another from this store. This guitar maker took my custom order and made a very, very nice guitar. 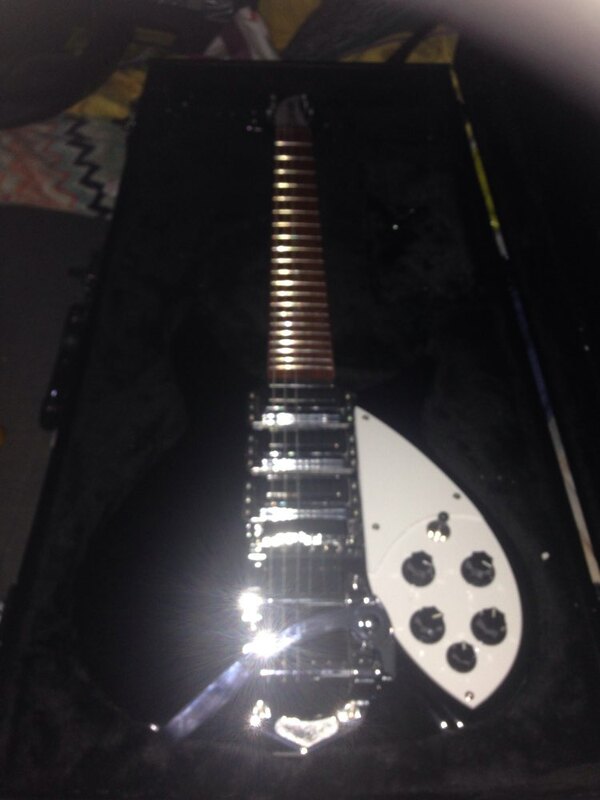 Almost perfect and extremely close to my real Rickenbacker 325c64. You can tell that it's not a real RIC when you play it, but if you've never played a real one, this is a very close replica. It sounds almost exactly like a real one. It looks almost exactly like one. The neck is thicker and the fingerboard is wider, but that actually helps since most RIC's have very slender necks. This is the closest replica I have ever seen. Fantastic store and fast international shipping. Сегодня доставили домой. Упаковка: пенопластовая коробка в полный размер гитары (со специальными по форме инструмента пазами), сверху картофельный мешок, далее пупырка и полиэтилен. Без повреждений, всё работает. Струны менять обязательно - они наверное "бесплатная пробная версия" ;) Как бонус - два комплекта накладок на гриф Рикенбекер, два комплекта шнуров и два комплекта ремней. Спасибо продавцу. Доволен, рекомендую. Очень приличный инструмент за такие деньги. Guitar is beautiful and exactly as ordered. Thank you. Great, great store. 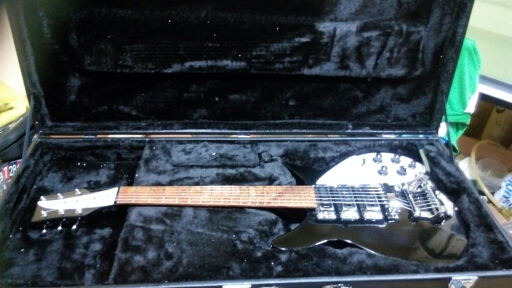 Guitar arrived quickly & is an excellent 325 replica ! Testé immédiatement, fonctionne super bien, bruit beaucoup atténué. merci! 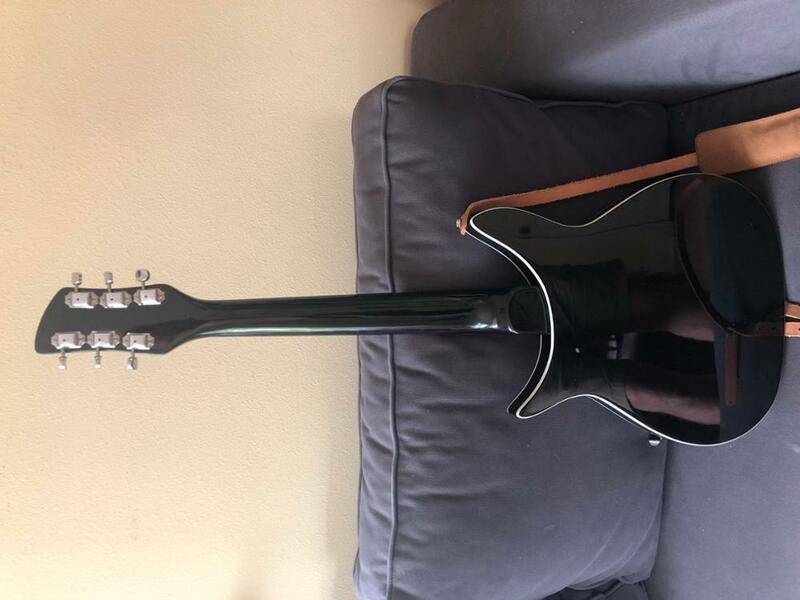 Guitar arrived in about three weeks and is exactly like the photos. Overall, the guitar is well-made. The neck is straight and frets are even polished at the edges! 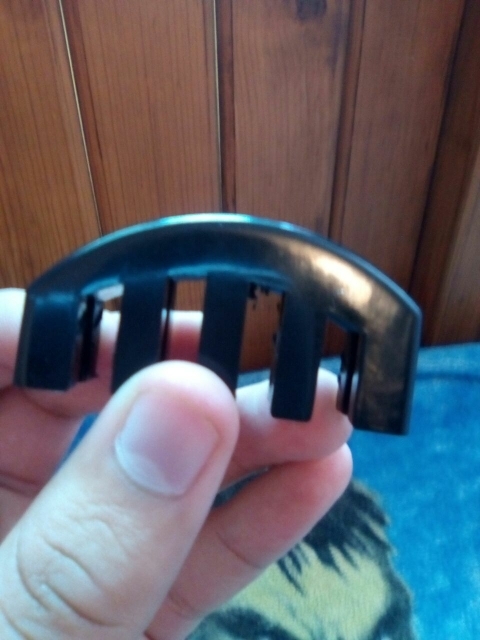 If you plan on using the tremolo, you will need a new nut. 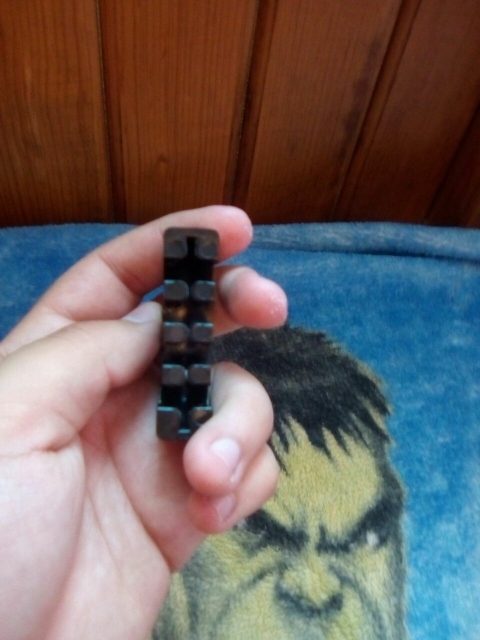 The nut it ships with is too flimsy. 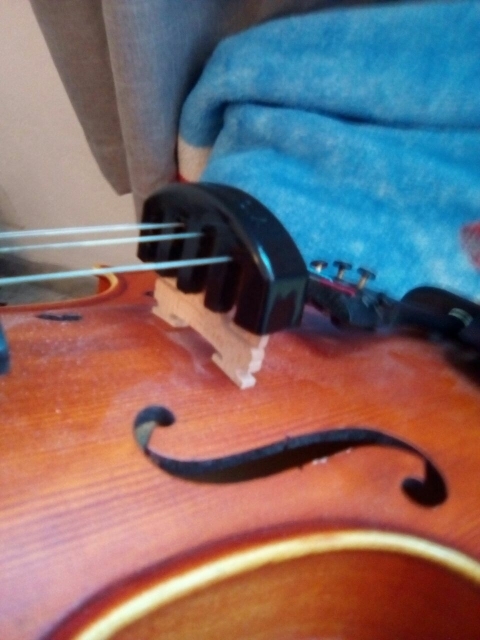 Also, the strings will need to be replaced to a higher gauge. It ships with 10's but it needs 12s since it is a short scale guitar. Overall, I'm very pleased with the quality of this guitar and how closely it replicates the real rick 325. Well done!!! 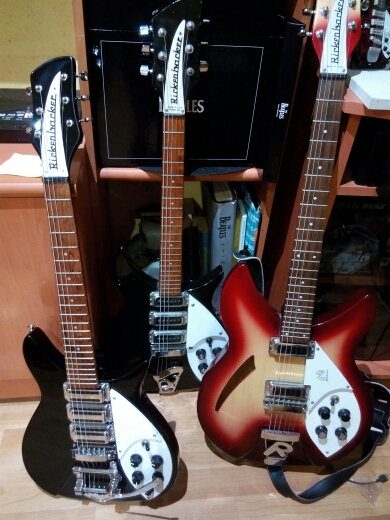 From my searching on aliexpress, this guitar store seems to offer the best quality made guitars for the lowest price. It came like it said and it is very useful. Also it came earlier than I thought which is good.